Little Pranav is going to school for the first time. This touching story will help the little ones to experience the vast range of emotions that a child goes through just before starting school. 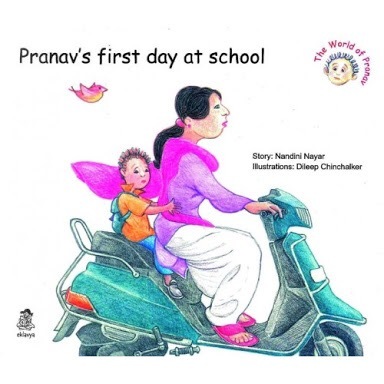 The book has some really endearing pictures that rightly capture the many moods that Pranav goes through. A simple story about what is possibly the scariest part of starting school for a child or even a mom – getting past the front gate, alone, and leaving their parents behind! Pranav has been told all about school beforehand, so he decided not to cry .. but what about all the other children he meets? With beautiful illustrations to match this book deals with this topic very sensitively. The whole class is going on a school trip to see the dinosaurs in the museum. While, everyone in the class has a packed lunch. Everyone, except for Dinah. Until a friendly iguanodon decides to help. 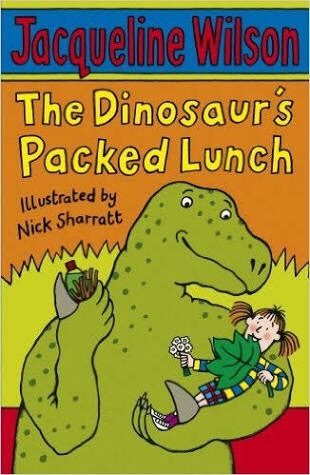 Soon Dinah has a very special packed lunch – and a huge surprise to come! A book written with some magic perfect for this age, humour, and warmth. It’s the first day of school – in this case it’s middle school. The students are experiencing not only changing classes, lockers, but a new high-tech building are among more challenges. 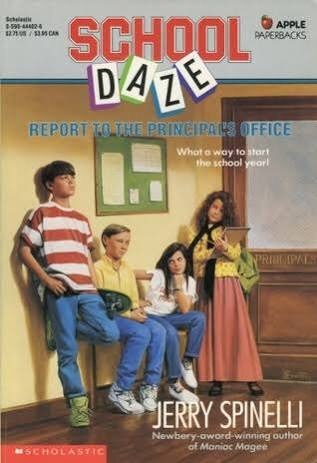 New sixth-graders Eddie Mott, Pickles Johnson, Salem Brownhill, and Sunny Wyler are filled with dread and anticipation. Armed with self confidence, determination, and the support of a gutsy and lovable principal, they find their way through those first terrible, traumatic, memorable weeks of school.. Readers can identify with these feisty characters meet the challenges and find themselves actually looking forward to the next day of school. Positive and upbeat, this one will make you guffaw at each chapter! Apoorva has to deal with new teachers, new students and new jokes about herself. So, she decides the best way to deal with all this would be to Laugh Out Loud! But she faces a serious challenge when the new principal announces the Annual Day where Apoorva is chosen to be a demon guard. Friends, shared lunches, bus rides full of jokes – all the fun flavours of Apoorva’s world come together in this one and create a truly memorable story that will actually leave you Laughing Out Loud! These books and more are also available for the children to read at the KidEngage library. Happy reading li’l bookworms! !